Should smacking a child be against the law? That’s the fierce debate reaching a vital stage in Scotland at present, where the parliament’s equalities commitee is considering whether it will back legislation to make smacking a criminal offence, writes law lecturer Tracy Kirk. This follows a public consultation and will have a bearing on whether the Children (Equal Protection from Assault) Bill becomes law, which would make Scotland the first jurisdiction in the UK to take this step. The government-backed bill, which would remove the existing defence of “justifiable assault”, has divided the country in the past couple of years. 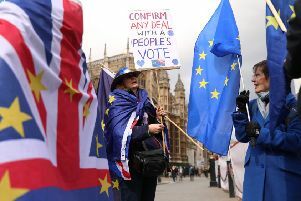 The media reports that around two in three Scots are against the change, with protesters lining up outside parliament for the committee’s final evidence-gathering session. While the likes of the Scottish Police Federation, Barnardo’s and the National Society for the Prevention of Cruelty to Children are backing the bill, other institutions are against – notably the Free Church of Scotland and some civil liberties groups. Despite this opposition, the committee can only reach one conclusion. The bill, originally proposed by Green MSP Jim Finnie after he was petitioned by children’s rights groups, simply implements human rights obligations set out in international law. Countries like England are out of step and therefore in danger of being found in breach. Much of the controversy around the Scottish bill concerns the perceived criminalisation of parents and the infringement of their right to punish their child as they see fit. I’m afraid that there is no such right under human rights law. The relevant legal right is to not be assaulted – and as the Scottish bill spells out in its name, it would extend to children the same basic right that adults enjoy. This right to equal treatment has been outlined in several human rights documents over the last 70 years. The Universal Declaration on Human Rights, adopted in 1948, sets out rights aimed at recognising “the inherent dignity and inalienable rights of all members of the human family”. This is reinforced within the European Convention on Human Rights and the United Nations Convention on the Rights of the Child, which recognises that “by reasons of physical and mental immaturity”, children require “special safeguards and care, including appropriate legal protection” while under the age of 18. The UN convention, which the UK has ratified, does recognise that parents have a right to ensure that the rights of their children can be realised. But this does not mean they can punish them with violence: article 19 clearly states that children should be protected from all forms of physical or mental violence. Meanwhile, the UN General Comment on the rights of children to freedom from all forms of violence states that “legislative as well as other measures are required to fulfil states’ obligations to protect children from all forms of violence”. Scotland’s current “justifiable assault” defence therefore contravenes children’s human rights. Quite frankly the law must be changed to ensure compliance, both in Scotland but also across the UK. The UN Committee on the Rights of the Child has consistently criticised the UK government for its failure here. In England, the equivalent defence is known as “reasonable chastisement”. For the avoidance of doubt, human rights do not depend on public opinion; they exist to help shape opinion. This is why there is no basis for arguing that the proposed change in law should not be made until there is a change in public attitudes. The UK is of course lagging behind many other countries over smacking. Sweden banned it first in 1979, over ten years before the UN Convention on the Rights of the Child was adopted in 1990. It is now banned in 58 countries, rising steadily from 11 in 2000 and 34 in 2012. These include Germany, Spain, Ireland, the Netherlands, Israel, Brazil and, very recently, France, as well as all the Scandinavian countries. Other major countries which have not followed suit include the US, Canada, Mexico, Italy, Australia and Japan. The Scottish government frequently refers to its desire for Scotland to be the best place in the world to grow up, though this will seem like empty rhetoric if the country does not ban smacking. It would also mean that Wales would have a better claim here: not only has the Welsh assembly been making moves to incorporate the UN convention into domestic legislation, it has just published the Children (Abolition of Defence of Reasonable Punishment) (Wales) Bill. Yet the Scottish parliament’s equalities committee is largely supportive of children’s rights, and led by the ruling SNP’s Ruth Maguire, so it is hoped that Scotland will make domestic law comply with the law on human rights. To be clear, the focus here is not on criminalising parents so much as protecting children. Sending a consistent message to children that the rights that they are taught in school can actually be realised wherever they are in society is simple but vital. Tracy Kirk is a law lecturer at Glasgow Caledonian University. This article is republished from The Conversation website under a Creative Commons license. Read the original article.